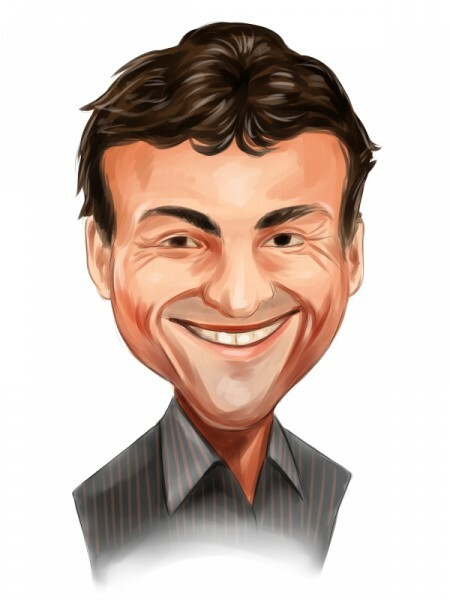 David Einhorn‘s Greenlight Capital recently joined the group of hedge funds that have filed their 13F forms for the June 30 period. Einhorn, the renowned activist investor who learnt the art of investing from Gary Siegler and Peter Collery, founded Greenlight in 1996. Currently the firm has about $12.3 billion worth of regulatory assets under management. The second quarter extended the fund’s losses so far this year, as it slid by an additional 1.5% to drop its return needle to 3.3% in the negative. The market value of the firm’s public equity portfolio nonetheless increased to $7.97 billion from $7.79 billion at the end of the previous quarter. The technology sector represented about 40% of this value. While the firm trimmed its stakes in Apple Inc. (NASDAQ:AAPL) and Sunedison Inc (NYSE:SUNE) during the second trimester, it boosted its holdings in Micron Technology, Inc. (NASDAQ:MU), CONSOL Energy Inc. (NYSE:CNX), and General Motors Company (NYSE:GM). We pay attention to hedge funds’ moves because our research has shown that hedge funds are extremely talented at picking stocks on the long side of their portfolios. It is true that hedge fund investors have been underperforming the market in recent years. However, this was mainly because hedge funds’ short stock picks lost a ton of money during the bull market that started in March 2009. Hedge fund investors also paid an arm and a leg for the services that they received. We have been tracking the performance of hedge funds’ 15 most popular stock picks in real time since the end of August 2012. These stocks have returned 118% since then and outperformed the S&P 500 Index by around 60 percentage points (see the details here). That’s why we believe it is important to pay attention to hedge fund sentiment; we also don’t like paying huge fees. During the second quarter, Greenlight disposed of 54,600 shares of Apple Inc. (NASDAQ:AAPL), dropping its total stake to 7.38 million shares valued at $925.96 million. The fund’s largest equity holding represented more than 11% of its portfolio. After a recent pullback, Apple Inc. (NASDAQ:AAPL)’s stock price is still up by more than 5% for the year. The tech giant’s earnings release for the third fiscal quarter ending in June failed to impress investors, who wanted to see more iPhone unit sales and a heftier revenue guidance. Carl Icahn‘s Icahn Capital LP is the largest shareholder of Apple Inc. (NASDAQ:AAPL) within our database, holding 52.76 million shares valued at $6.62 billion as of the end of June. Einhorn’s Sunedison Inc (NYSE:SUNE) holding was trimmed by 109,300 shares to 24.84 million shares valued at $743.10 million during the second quarter. In its second quarter letter to investors, Einhorn identified two main catalysts for Sunedison Inc (NYSE:SUNE) going forward, the first one being the IPO of TerraForm Global Inc (NASDAQ:GLBL), the renewable energy yieldco that should significantly add to Sunedison’s cash flow, as well as the company’s acquisition of First Wind, the largest windpower development company in the U.S. The low coal and gas prices have been wreaking havoc with solar stocks and Sunedison Inc (NYSE:SUNE)’s losses of more than 27% this year are testament to that. Dan Loeb’s Third Point increased its holding in Sunedison Inc (NYSE:SUNE) by 24% during the second quarter to 12.40 million shares valued at $370.88 million.